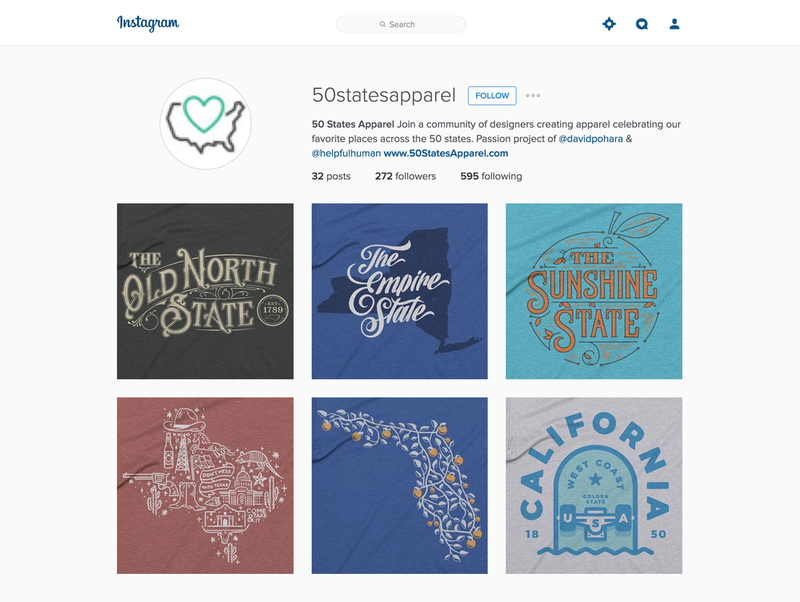 Submitted a t-shirt design to 50 States apparel and it was chosen and featured on their website. Viewers could pre-order the t-shirt for two weeks. My submission was for Florida and I titled it: "The Sunshine State." I wanted it to embody a hot Florida summer so I made it look like a Florida orange with the colors resembling it as well. I ended up turning it into a sticker via Stickermule.